How can the Canadian right recharge? Co-authored by Michael Van Pelt (President), and Ray Pennings (Executive Vice-President) of Cardus, a Canadian think tank engaged in renewal of North American social architecture. 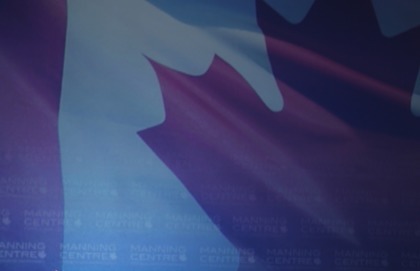 As the Manning Centre Conference – aka Woodstock for conservatives – returns to Ottawa this week, prudent participants will avoid making it a festival of backbiting or a nostalgia act. It’s now been four months since the big ‘C’ Conservative Party was tossed from office. How many old wounds can there be left to lick, tempting as that indulgence is for partisans on the right as much as on the left? The reality is Canadians elected to end the Harper government’s mandate for mixed reasons. They threw out the bums they knew for the fresh-faced young man they didn’t. They felt sudden disgust at Conservative desperation tactics late in the campaign. They likely reacted, too, against 10 years of hard-nosed “government can’t” messaging from the very government that ran up large deficits proving, in fact, that government could. There is only so long, after all, that the approach of “this is what we aren’t going to do for you” remains viable. At some point, politics demands a coherent vision of a better life and better future for citizens. If conservatives hope to regain Conservative government, we observe from our neutral corner, the country’s largest gathering spanning the pragmatic centre-right to the distant galaxies of libertarianism must not spend time scowling at each other or, worse, making goo-goo eyes at the past. Frank conversation is required about how the movement will renew itself. So is genuine policy debate. There must be courage to oust ideological shibboleths and replace them with a well-rounded agenda that captures the imagination of the Canadian electorate. First up must be recognizing what Canadians mean by limited government. Saying “government should not” is as simplistic as saying “government should” if nothing else follows. It requires more than raw arithmetic about mere size of government. It requires qualitative as well as quantitative balancing. What government does, it should do well, so sufficient resources must be dedicated to those tasks. Efficiency? Yes. But staff nose counts are not an absolute good. Fewer bureaucrats in critical departments can actually do far more harm than good. When conservatives make valid arguments about limiting government’s role, they must identify institutions that can fill the need. They must craft policies to insure necessary institutions are properly equipped to serve the public good. It’s also past time to get past fetishizing economics as GDP. An economy is more than GDP just as a job is more than a paycheque. There is an inherent moral compass within our economic system by which some dollars are spent more prudently than others. Legalizing drugs and prostitution, and counting their exchange as GDP, might make the economy look healthier. It can also tear apart our social fabric. Conservatives must distinguish between strong arguments for a market economy and the transformation of Canada into a market society. Across the spectrum of the right, it is time to stop leaving compassion and caring to the left. Rethinking charity, ensuring effective capacity for social institutions, and finding authentically caring ways in which fewer rely on the State are all high-priority policy areas. Bootstraps long ago went the way of buggy whips and bustles. So should the phrase “pull yourself up by your bootstraps” as a pseudo-prescription for Canadians in need. If there is anywhere that frankly arrogant individualist phrase needs to be overcome by conservatives, it is with regard to the environment. Conservation, of course, has the same root as conservatism. By the very nature of its commitment to stewardship, a conservative movement must advocate for careful tending of the elemental world. Conservatives should be as appalled by rapacious waste of earth, water, air, and resources as failures of government thrift. These are, obviously, but a few of the conversations that need to begin before the Manning Conference ends. There is time for them to play out by the next election. There is, though, not a moment to lose in acrimony or longing.